cdcindonesia.com - Morning enthusiasm, all job seekers, the following job information coming from one of the ministries in Indonesia, which is engaged in health, namely: Kementerian Kesehatan Republik Indonesia - KEMKES or known as Kementerian Kesehatan is the Ministry of Health of Republic Indonesia. 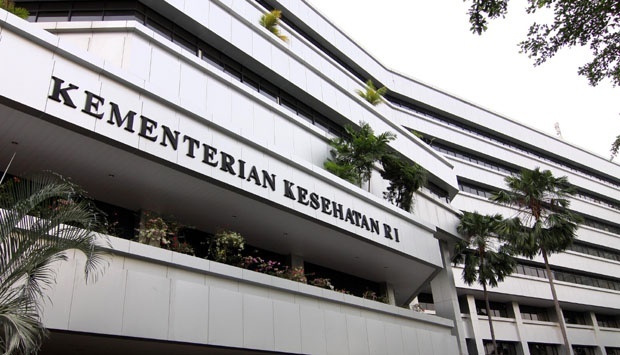 Kementerian Kesehatan is the Indonesian ministry with main task to assist the President of Republic of Indonesia in performing government's affairs in the health sector. Kementerian Kesehatan was reviously known as Departemen Kesehatan (Depkes) or the Depertment of Health. Kementerian Kesehatan is based in Jakarta and its principal office is registered at Jl HR Rasuna Said Blok X5 Kav 4 - 9 Jakarta. Not older than 35 years old (1, 2) and 30 years old (3, 4, 5, 6). Not being bound by contract / work contract with other government / private institution and not domiciled as CPNS / PNS / Candidate Member of TNI / Polri and member of TNI / Polri. Single/not married and willing not to get married during the program (6 months). Required to have a valid STR (STR Certificate being processed is not applicable / not accepted). Willing to be placed in all parts of Indonesia . Participating in the National Health Insurance program is proven by having a Healthy Indonesia Card (KIS). For more detail information on the requirement, how to apply and to know more about the program, please refer official source from Kementerian Kesehatan on following link below. To apply for this opportunity please register and sign in to Nusantara Sehat Kementerian Kesehatan e-recruitment website with link as follow : http://data.nusantarasehat.kemkes.go.id. Other inquiry, feel free to contact HALO KEMKES Phone (021) 1500567 / Fax (021) 52921669. All applications will be treated confidentially. Only short listed candidates will be notified.